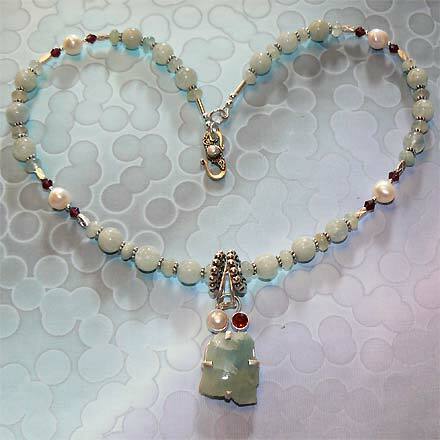 Sterling Silver Aquamarine, Freshwater Pearl and Garnet Necklace. See Closeup. 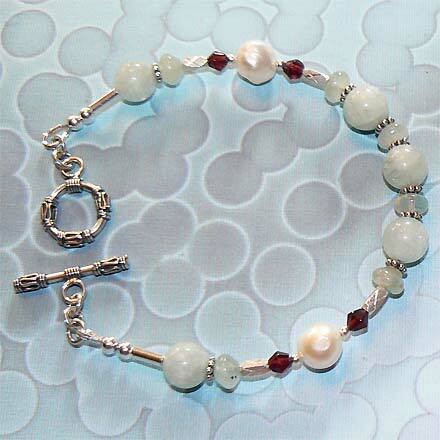 Sterling Silver Aquamarine, Freshwater Pearl and Garnet Bracelet. 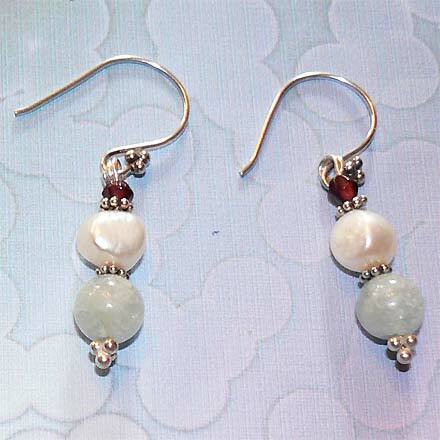 Sterling Silver Aquamarine, Freshwater Pearl and Garnet Earrings. The beautiful color of pale aqua punctuated by white and dark red. Necklace comes with a Pearl set in the clasp. 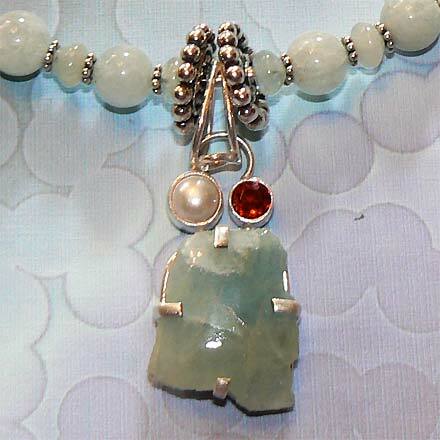 For those who are interested in Astrological significances of stones, Aquamarine corresponds with Scorpio and is the birthstone for March, Pearl corresponds with Cancer and the month of June, and Garnet corresponds with Capricorn and Aquarius and the month of January.